Aerial flight over a corn maize field in the early morning. Mist is in the distance. Some natural lens flare is present. 4k00:27Great Corn Fields Farmland at Sunrise. Flying over the corn fields in Summer backlit view. 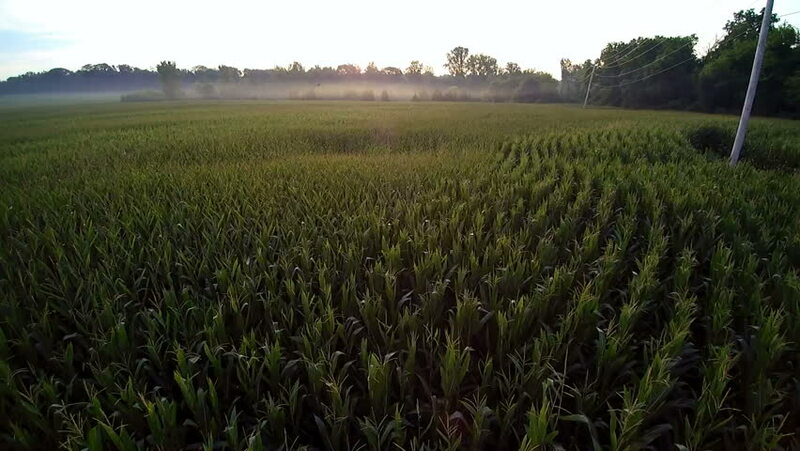 Drone aerial view of a corn field at sunup. Rural countryside agriculture footage. 4k00:284K. Flight above ripe corn field at sunny day, aerial panoramic view.